I’m in London just in time to see changes made to Tate Britain, and share a few snapshots from my visit. Thomas BROCK (1847-1922) Eve (1900). Tate Britain, London. The Museum’s collections have been rearranged and expanded. (Learn more here.) Works, such as Eve (1900) by Thomas Brock (1847-1922), have been taken from other museums — Eve was formerkly in the sculpture gallery at the Victoria & Albert Museum, where it stood on a very high pedestal — and put within the context of contemporaneous works. 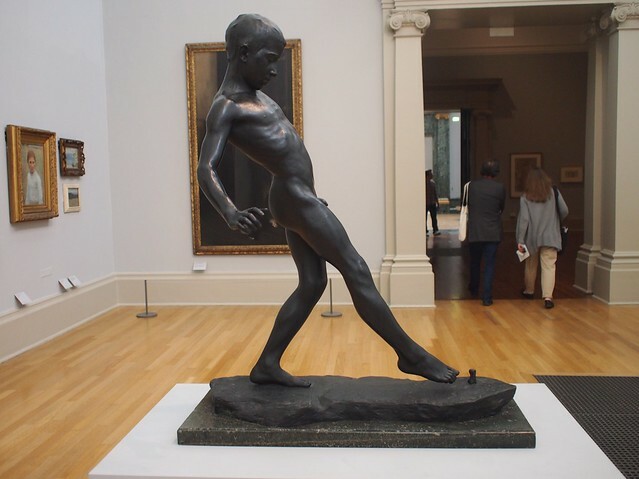 William GOSCOMBE JOHN (1860-1952) A Boy at Play (c. 1895) Bronze. Tate Britain, London. 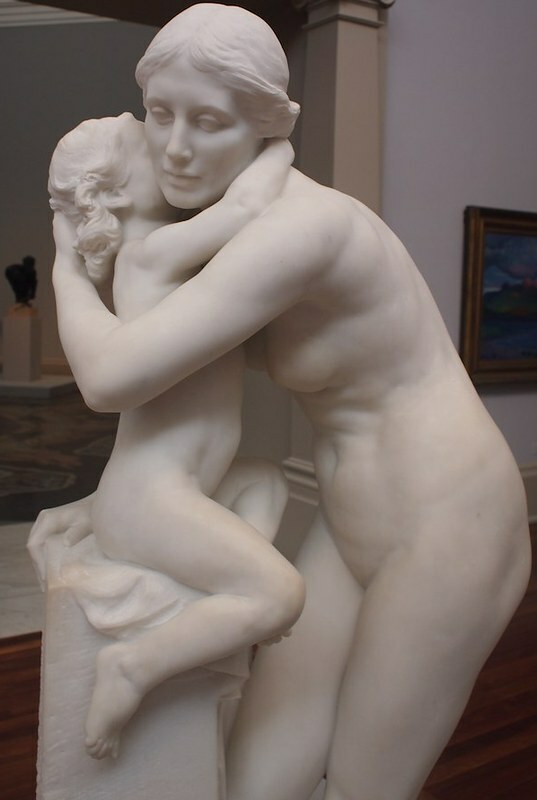 Hamo THORNYCROFT (1850-1925) The Kiss (1916) Marble. Tate Britain, London. There, I’ve shared my nineteenth-century, figurative-art bias. Now I can say without reservation that the Tate Britain is better than ever. Go see the paintings . . . and the sculptures!! Oh, the sculptures! They are worth visiting a thousand times. Previous Post Caravaggio and His Legacy in Los Angeles . . . errr what you doing here?